Don’t you wish to land on the first page of search results or at least rank higher on Google using a technique that doesn’t only involve the traditional SEO work? The answer to it has been in front of our eyes for over a decade, VIDEO. If there’s anyone that loves video more than us at Moovly, it’s Google! If we look back to November 13th, 2006 when Google announced the acquisition of YouTube, now web’s second largest search engine, it doesn’t seem a coincidence for videos to get a larger favor over other types of content. A video is 50 times more likely to appear on the first page of search results than a traditional web page. Google’s recent algorithm has transformed the search landscape, prioritizing rich, blended search results with unique content, and multimedia content is definitely such. Moreover, the estimated yearly revenue of YouTube will account for around $15 billion this year. And, it’s clearly $15 billion reasons why Google loves videos even more. “Blog posts that include video content attract 3 times more inbound links than posts without video”, mentioned by SEOmoz. The more relevant inbound links you have, the more your content is viewed as authoritative on certain subjects, thus, ranking higher. Video transcripts are necessary for a higher ranking. They are indexed by Google, allowing keywords to get highlighted, linking back to your company’s webpage. Make sure you create an accurate transcription because automatic closed captions don’t always provide an exact transcript. To make the most out of this technique, also add your transcript in the description to give more content for Google’s search algorithm to go through. Videos increase your site’s stickiness, aka time spent on a page. It is considered to be a valuable factor for Google’s ranking. According to Wistia, people spent on average 2.6 times more time on pages with video than without. By creating your own content on YouTube, you automatically become a part of the second largest search engine. That’s another opportunity to reach your target audience you don’t want to miss. Google will make sure to reward you by embedding content on the territory of its greatest purchase, YouTube. It goes without saying that video marketing can only be exploited to its full potential with the help of YouTube. While it won’t guarantee direct first-page results on Google, it will make sure Google indexes your video and brings a higher traffic. YouTube is a high authority site, which increases your chances to be found higher in Google SERP (search engine results pages). Having YouTube channel and some videos is simply not enough. At this point, to get far more visibility and exposure, you need to optimize your channel and videos. How? Click here to know 5 major YouTube techniques that will help you rank higher and increase your sales 49% faster. Go through that checklist and make sure you follow the techniques to optimize your YouTube channel before you move on to our step 2. How to optimize your YouTube channel? Embedding videos on your website will help to get more views, and Google needs to know that to understand how relevant and popular your content is to rank you a certain way. Moreover, it was found that 88% of the videos in the top 10 of Google’s blended search are from YouTube as well. So yes, you need it in your marketing strategy. Even though there is no way to ensure you get rich snippets, you always have a better chance if you keep this video content unique to your own website, meaning not allowing your video to be embedded by third parties. That provides Google only one choice of a web page to rank for your video. In case you are trying to embed a video from YouTube, make sure to unclick ‘Show suggested videos when the video finishes’ (as shown below) in the share feature to make sure no irrelevant video suggestions will be offered to the visitor afterward. You, clearly, don’t want your competitors to be suggested, as it can drive a visitor away from your business. And, that’s the opposite of what we’re trying to achieve here. Don’t forget to optimize your video to the width of your blog. Whether it’s an iframe or old embed code, it will start with i.e iframe width=”560″ height=”315″, where you can be in control of the parameters. For this blog, the optimal video size was found to be: width=”747″ height= “420”. So, check carefully what’s your fit. To make sure Google gets a clear understanding of what your video content is all about, add copy on the page. It can be a written introduction to the video or the topic discussed, also a full transcript. In case you do provide a transcript, enter it after the video itself. You should also add a transcript to that YouTube video, which can easily be done and adapted in ‘Subtitles/CC’ section of YouTube’s Video Manager itself. Afterward, you can download it and use as a copy of the website transcript. The issue is that Google doesn’t see your videos. Every day, thousands of new websites are getting launched and waiting for search engines to find yours could take ages. With that in mind, Google searches for other ways to figure out what your content is all about. That’s when video SEO comes in handy. A sitemap is a file that has a collection of all URLs on your website. It shows all content your site has. Search engines have different XML sitemaps based on your content type. In our case, we use video sitemaps that should always be present if you have video content on your site. Google needs additional information about videos, like title, description, duration, and thumbnail, which are mostly not present in the content of your page. Video sitemap will help provide such info to include it in search term index and, therefore, rank your content. There are some plugins that can help you create a video sitemap. 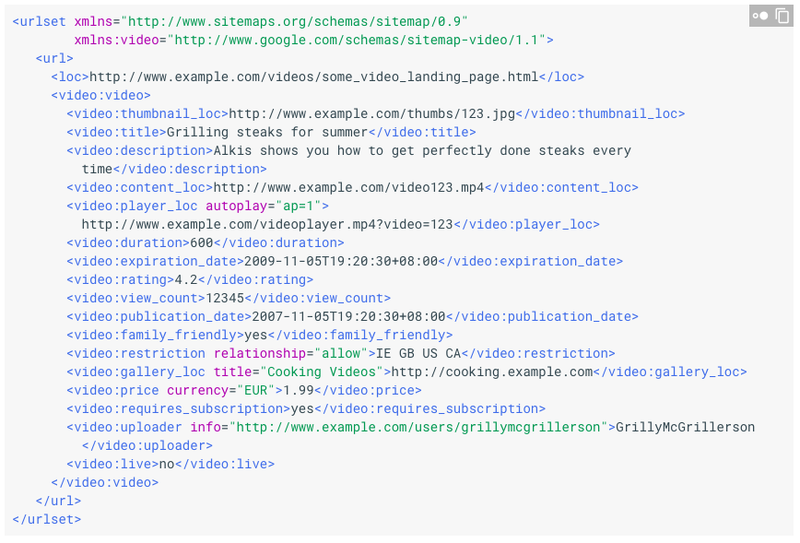 Check out Google Video Sitemap Feed With Multisite Support and Google (XML) Sitemaps Generator. Or even better, you can easily create a sitemap online here. Sitemap creation is important, but it’s vital to actually tell search engine the location of the sitemap. What to do next? Add all sitemap links to your robots.txt file, which will further help search engine bots to crawl your website and establish the location of your file. Moreover, to make iframes more Google-friendly, indexing it is quite important. Click here to know how to create this robot.txt file. Now, it’s time to add your sitemap to Google Search Console and Bing Webmasters, two major search engines of today. They will tell the indexing rate of your web, image and video content. Through those engines, you can also monitor possible errors your site might have. Video SEO backlinks is another great way to get long-lasting traffic to your videos and, hence, optimize your video content within Google universal SERPS. Google has a ranking formula that does change quite often, however always including backlinks. The better and more authoritative the SEO backlink is, the higher yours will get as well. But be careful with backlink spamming, you’ll get penalized. For instance, if you’re getting many backlinks too suddenly and in a big quantity without explanations, it will seem suspicious for Google. Moreover, pay attention to how appropriate and relevant your backlink is to your video. If your video is about the best SEO practices, it’s spammy in nature if your backlink will be about horse riding or something else even more random. So, the key is to have relevant, quality inbound links. Such backlinks are built up gradually, slowly over a period of time. There are numerous ways to creating quality backlinks, which totally deserves a separate article. However, we can quickly cover few rules. Make sure to create content that fills an obvious gap in the web. You can also find dead links on a website or a blog (can be done online here), find pages that need to be replaced and the authors you can approach. For instance, take a look at Mashable, it links out incredibly much, giving a high chance to face many dead links on older pages. You can also offer to write a guest post and get a backlink from that brand. Buying links violates Google’s policy, however, it’s obviously still being done nowadays. But actually, there are still few ways to receive links legally: donate to a charity or a non-profit organization, offer to pay an influential blogger to post on your website or consider funding certain projects to get mentioned for your efforts. If you’re still feeling lazy, you can always visit Fiverr, and try to find profiles that can get backlinks to your YouTube video for a couple of bucks. In a matter of a week, you can receive a report with all of the links. It still takes time for your video to actually rank (somewhere around a month), but you might not even rank that high, simply because of a poor quality of those links. Therefore, it’s better to build them manually. Everything good takes time, right? 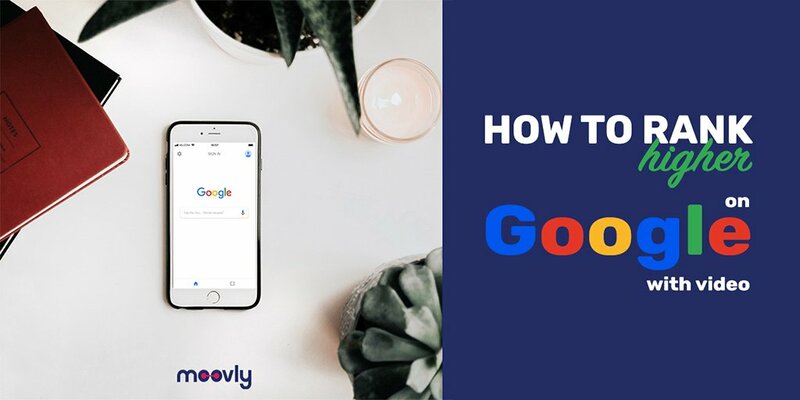 The key to achieving a high ranking on Google is understanding that search engine is mainly concerned about giving back a great experience to its users. Be relevant to your audience, and Google will lean in your favor. And, if you haven’t started with video content, hurry up and check out Moovly to create professional looking videos that will impress your audience in no time and will help to step up your game of SEO. Stuck with conventional Search Engine Optimization? Rank higher on Google with an optimized video content. 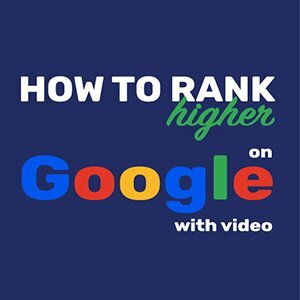 Work together with Google’s ranking algorithm by applying those 4 video SEO techniques.